In this pack contains 5 sheet of 'round cell germination tray' with 209 cells in one tray. Usually known as "Germination Tray" . Seedling tray basically use for germination of seeds. Benefit: 1. 100% seeds germination. 2. Maximum root stock. 3. Using seedling tray crops are strong, sturdy & healthy. 4. Handling of crops are easy, root is not disturb. 5. Saving of water and fertilizers more than 50%. 6. You make this in small space. 7. Easy for handling and transporting of crops. 8. Using this tray you save time, money and labor charges. No. of Tray 5 in this Pack. 1 tray contains 209 Cells. Tray Size: 290mm. X 495mm. Germination Tray Size: 290mm. X 495mm. Uses: Veg Seeds Germination, Flower Seeds Germination. Reusable Germination or Seedlings Tray Round 104 Cells(Pack of 12): In this pack contains 5 sheet of 'round cell germination tray' with 104 cells in one tray. Usually known as "Germination Tray" . Seedling tray basically use for germination of seeds. Benefit: 1. 100% seeds germination. 2. Maximum root stock. 3. Using seedling tray crops are strong, sturdy & healthy. 4. Handling of crops are easy, root is not disturb. 5. Saving of water and fertilizers more than 50%. 6. You make this in smal..
Reusable Germination or Seedlings Tray Round 104 Cells(Pack of 5): In this pack contains 5 sheet of 'round cell germination tray' with 104 cells in one tray. Usually known as "Germination Tray" . Seedling tray basically use for germination of seeds. Benefit: 1. 100% seeds germination. 2. Maximum root stock. 3. Using seedling tray crops are strong, sturdy & healthy. 4. Handling of crops are easy, root is not disturb. 5. Saving of water and fertilizers more than 50%. 6. You make this in small..
Reusable Germination or Seedlings Tray Square 104 Cells(Pack of 12): In this pack contains 12 sheet of 'Square cell germination tray' with 104 cells in one tray. Usually known as "Germination Tray" . Seedling tray basically use for germination of seeds. Benefit: 1. 100% seeds germination. 2. Maximum root stock. 3. Using seedling tray crops are strong, sturdy & healthy. 4. Handling of crops are easy, root is not disturb. 5. Saving of water and fertilizers more than 50%. 6. You make this in s..
Reusable Germination or Seedlings Tray Square 104 Cells(Pack of 5): In this pack contains 5 sheet of 'Square cell germination tray' with 104 cells in one tray. Usually known as "Germination Tray" . Seedling tray basically use for germination of seeds. Benefit: 1. 100% seeds germination. 2. Maximum root stock. 3. Using seedling tray crops are strong, sturdy & healthy. 4. Handling of crops are easy, root is not disturb. 5. Saving of water and fertilizers more than 50%. 6. You make this in sma..
Reusable Germination or Seedlings Tray Square 42 Cells(Pack of 5): In this pack contains 5 sheet of 'Square cell germination tray' with 42 cells in one tray. Usually known as "Germination Tray" . Seedling tray basically use for germination of seeds. Benefit: 1. 100% seeds germination. 2. Maximum root stock. 3. Using seedling tray crops are strong, sturdy & healthy. 4. Handling of crops are easy, root is not disturb. 5. Saving of water and fertilizers more than 50%. 6. You make this in small..
Reusable Germination or Seedlings Tray Square 42 Cells(Pack of 12): In this pack contains 12 sheet of 'Square cell germination tray' with 42 cells in one tray. Usually known as "Germination Tray" . Seedling tray basically use for germination of seeds. Benefit: 1. 100% seeds germination. 2. Maximum root stock. 3. Using seedling tray crops are strong, sturdy & healthy. 4. Handling of crops are easy, root is not disturb. 5. Saving of water and fertilizers more than 50%. 6. You make this in sma..
Reusable Germination or Seedlings Tray Round 50 Cells(Pack of 12): In this pack contains 12 sheet of 'round cell germination tray' with 50 cells in one tray. Usually known as "Germination Tray" . Seedling tray basically use for germination of seeds. Benefit: 1. 100% seeds germination. 2. Maximum root stock. 3. Using seedling tray crops are strong, sturdy & healthy. 4. Handling of crops are easy, root is not disturb. 5. Saving of water and fertilizers more than 50%. 6. 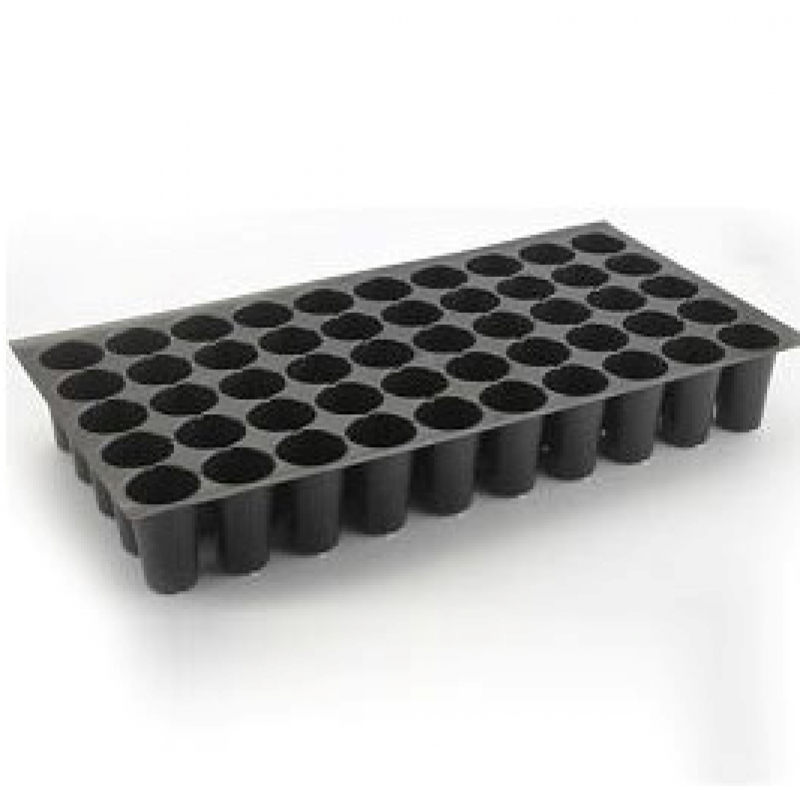 You make this in small..
Reusable Germination or Seedlings Tray Round 50 Cells(Pack of 5): In this pack contains 5 sheet of 'round cell germination tray' with 50 cells in one tray. Usually known as "Germination Tray" . Seedling tray basically use for germination of seeds. Benefit: 1. 100% seeds germination. 2. Maximum root stock. 3. Using seedling tray crops are strong, sturdy & healthy. 4. Handling of crops are easy, root is not disturb. 5. Saving of water and fertilizers more than 50%. 6. You make this in small s..